The United States will need millions of additional dogs a year to keep pace with the growing number of households. The United States needs approximately 8.1 million dogs a year to meet current demand. What got The Washington Post so interested? Data. Not commercials or social media. Just data pointing to a troubling state of affairs for Americans who value the human-animal bond and the goal of making pet ownership possible for any family. Shelters do a great job, and euthanasia rates are dropping at a brisk pace. But shelters cannot come close to meeting annual demand for healthy dogs, and we need to do something about it. We start with the total number of dogs in the United States. The 2015 Moore Information survey of 1,500 households established that 44 percent of U.S. households have at least one dog and that the average number of dogs per household is 1.6. Using the most recent Census Bureau data of the number of U.S. households, this established the dog population at approximately 88 million. Next, we need to determine the annual need across the United States. The best way to do this is by working with the annual replacement factor, which is the number of dogs passing away and which assumes the dogs are replaced. This measure does not factor in any growth in the percentage of Americans wanting a dog, so the best way to think about this is a combination of replacement at less than 100 percent and some growth. This equals 9 percent of the current number of dogs annually based upon veterinarians’ best estimate of an average canine lifespan in this country of 11 years. In other words, we need approximately 8.1 million dogs a year to meet current demand. Of course, as the U.S. population grows, per Census Bureau Population Projections, then annual demand also grows. 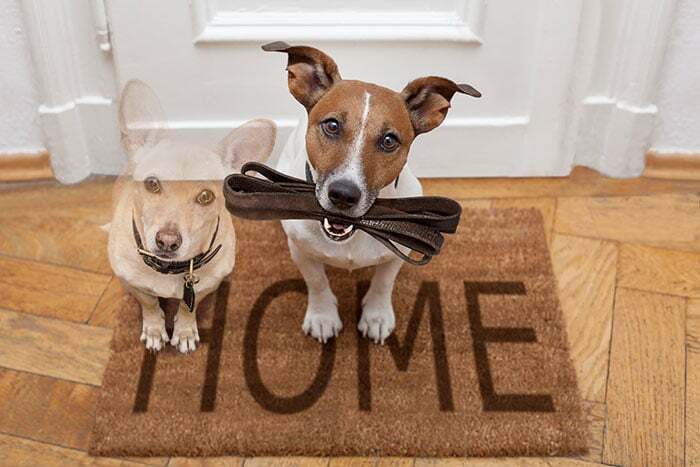 Assuming the percentage of dog-owning households remains static at 44 percent, the annual need will be 9,288,316 by 2025 and 10,360,047 in 2050. 5,532,904 dogs entered shelters in 2015. 2,628,112 dogs were adopted out by shelters in 2015. 776,970 dogs were euthanized by shelters in 2015 and about the same number were transferred by shelters to other shelters or rescues. These numbers demonstrate how much progress has been made in reducing annual euthanasia rates from over 12 million to fewer than 800,000. But they also highlight that shelters may be expected to provide only 2.6 million of the annual 8.1 million dogs needed to meet U.S. demand. The challenge for animal welfare advocates, veterinarians and the pet health care industry is how to safely and consistently fill the gap of 5.5 million dogs, which will only widen as the U.S. population grows. That is a policy decision facing pet health leadership. Actions are being taken that require broader support and engagement, but other choices must be examined as well. The Pet Leadership Council funded a landmark study by the Purdue University College of Veterinary Medicine with the aim of developing a science-based, medically sound set of humane standards to guide the breeding of dogs. This project is near completion and will enable us to bring all parties together on how breeders should conduct their business, much like other sectors that have faced competing issues about best practices. Hopefully this will end political debate, banish puppy mill practitioners to the sidelines and partially meet Americans’ demand for healthy, humanely bred pets. This encompasses hobby breeders — a key source of dogs each year — and larger-scale breeders. The remaining challenge is the thornier question of foreign imports. Just as we lacked reliable numbers of annual shelter adoptions, be assured that we have no reliable numbers about the number of dogs entering the United States. U.S. Customs records suggest that 20,000-plus dogs officially come through the door each year, but no one believes this is close to the total number when one takes into account dogs that enter through less-than-official means. One U.S. Customs study suggests an illegal number of at least 280,000 annually, and many observers put the number much higher. I have talked with Asian experts who believe that this highly profitable trade generates more than 1 million dogs annually from China, Korea, the Philippines and other Asian countries. Latin American, Middle Eastern and Eastern European interests ship dogs into the United States as well. This is a long, complicated process, to be sure, but the end result is worth it. My hope is that 2018 is the year in which interested parties across the pet spectrum sit down, share data and map out next steps to ensure that every American family that wants a dog finds one. Government partners will be critical to success, but the path starts with industry and animal welfare organizations working out the best approach to foreign parties, combining the stick of tougher enforcement with the carrot of a lucrative commercial opportunity done right. What we know about the human-animal bond requires no less. Politics & Policy columnist Mark Cushing, founding partner of the Animal Policy Group, is a political strategist, lobbyist and former litigator. 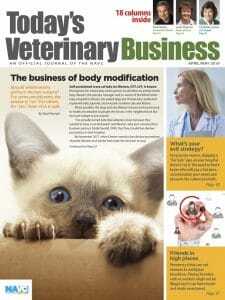 He serves on the Today’s Veterinary Business editorial advisory board.